Non alchholic peach tea soft drink limited edition 2018 by San Benedetto. A great classic to taste at any time. 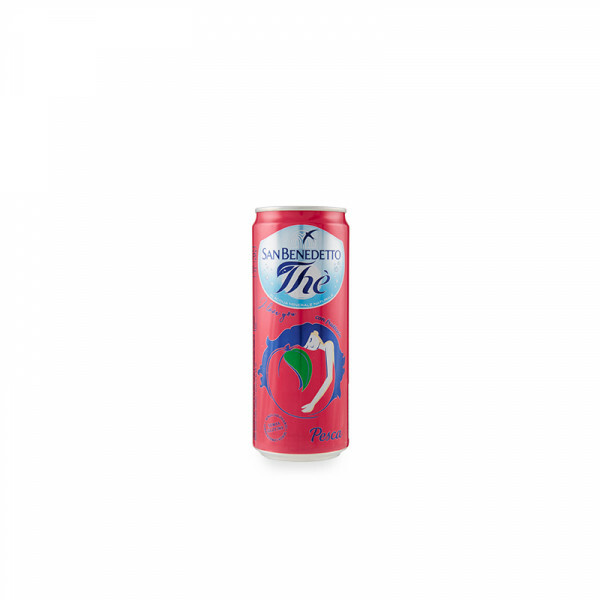 The flavors of peach meet a mixture of sweet and delicate teas in a large pure and light mineral water as only San Benedetto knows; hence a classic cold and refreshing tea, able to combine with any dish. The ideal drink to accompany any pleasure that the table can offer, from the most refined meals to quick snacks; a full and essential taste to quench your thirst for goodness and positivity. Natural mineral water (80%), sugar (6.2%), fructose (0.5%), flavourings (present), citric acid (0.14%), tea leaves extract (0.1%), peach juice from concentrate (0.1%), ascorbic acid (0.019%), artificial sweetener: sucralose (0.0034%). No preservatives. Conserve in a dry, clean and well ventilated place, away from sun light and heat sources. To be served chilled. Please clean the lid before you drink.